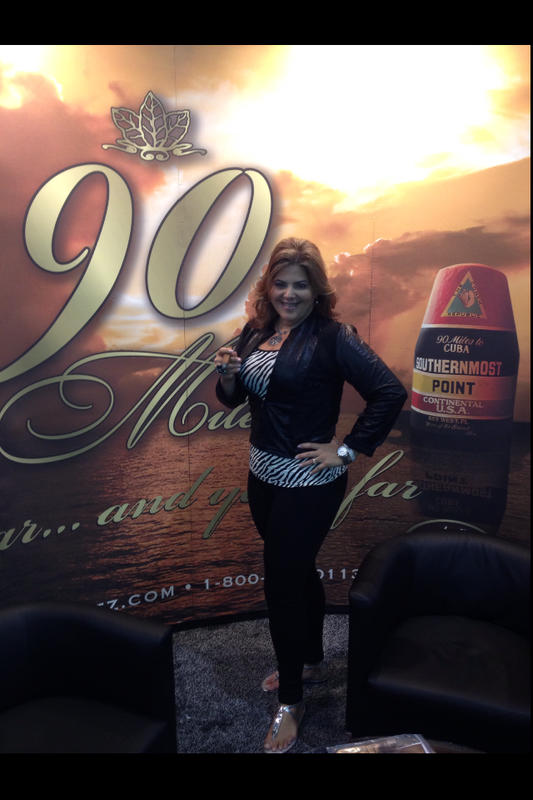 Another MB Cigar Lady is Yadi Gonzalez Vargas. She is a business woman in the cigar industry. She works for Flor de Gonzalez Cigars. His father started this business 20 years ago and approximately 11 years ago she started working with him. She started helping him with his finances for he had diversified into real estate liquor stores and land in Ecuador where he currently grows wrapper tobacco and sells to the industry. Next thing she knew she was heavily involved in the actual manufacturing and blending. Today she run the entire operation and she is working on taking this brand to the next level. I started smoking cigars in 1996 during that time I smokes occasionally. It was not until 2002 that I started smoking more frequently when I was 100% involved in the cigar industry. I normally smoke at least 1 cigar per day sometimes 2 but when I’m on the road once a month for a week at a time promoting or at an industry show I will smoke 6 or 7 cigars in one day. Every time I smoke a cigar is the best place and best time. To me there’s a story behind every cigar I smoke. I use my nails to cut the cigar and I make a perfect bullet cut or a diamond cut with my nails. It always relaxes me to smoke. Sometimes I light up my first cigar after a good espresso in the morning. If I’m blending something on a clean palate first thing in the morning. 8)which is the best cigar for you? The best cigar for me right now is our 90 MILES 1980 Edition. This cigar has such complexity that the taste and aroma is superb. The blend was 100% my creation and I’m ecstatic about the result of the blend and the results of the sales on that particular line as well. Thank you very much Yadi for the time you have spent with us. Good ashes. One Response to "“Yadi Gonzalez-Vargas„"
Yadi!! 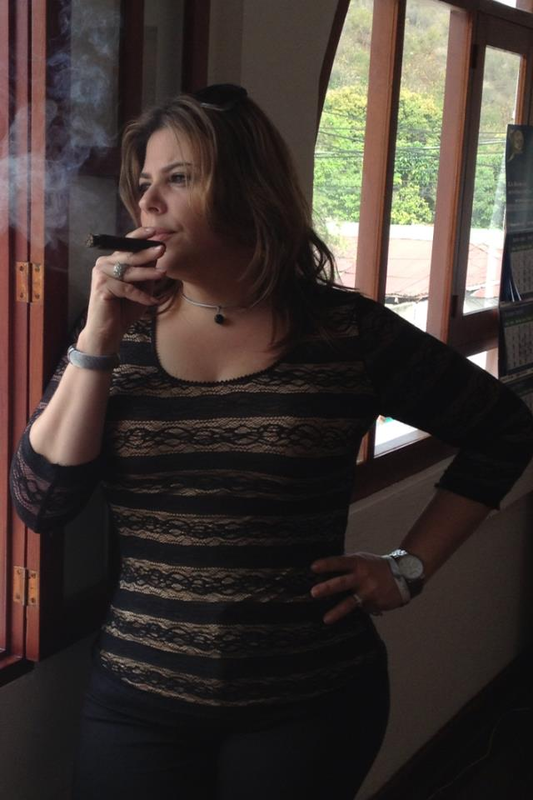 Very excited to find your interview and enjoyed learning more about you and your passion as a woman who loves cigars…..and making them too. I’m so glad we connected and I look forward to sharing a great time with you one day soon and learning from you as I continue developing my knowledge of fine tobacco. Thank you for sharing and may it inspire other’s to see what they are missing. And to you Massimo for making the Sister’s of the Leaf shine!